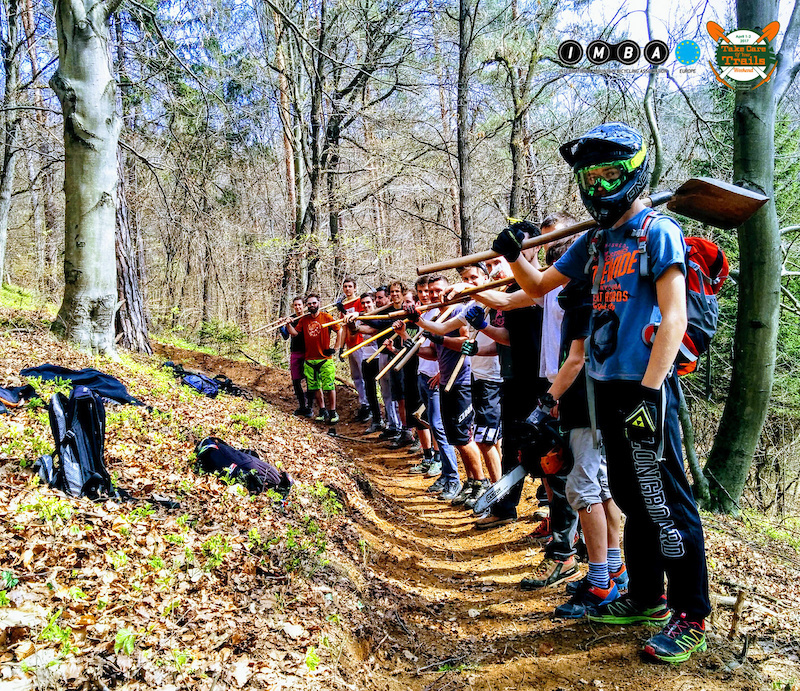 More than 1200 mountain bike volunteers joined nearly 100 groups for the first ever pan-European Take Care of You Trails weekend. The co-ordinated weekend of volunteer trail maintenance was a great success and highlighted the fantastic voluntary contribution that bikers make towards the key ingredient in their experience: the trails. The weekend was also a chance for each country to engage in a friendly competition to see who could get the largest number of volunteers to attend sessions per head of population. 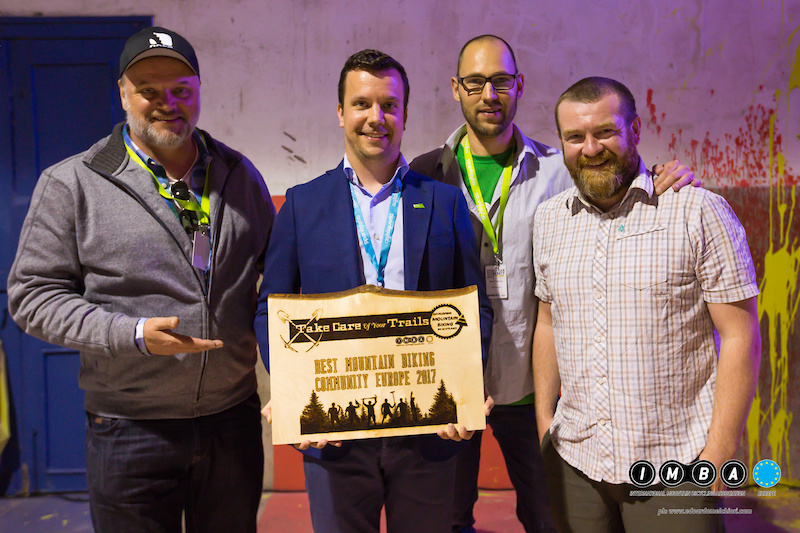 IMBA Europe are delighted to announce that Slovenia have been given the crown of "Best MTB Community in Europe 2017". Mark Torsius, the CEO of IMBA Europe, was impressed with the turnout and the impact of the campaign. 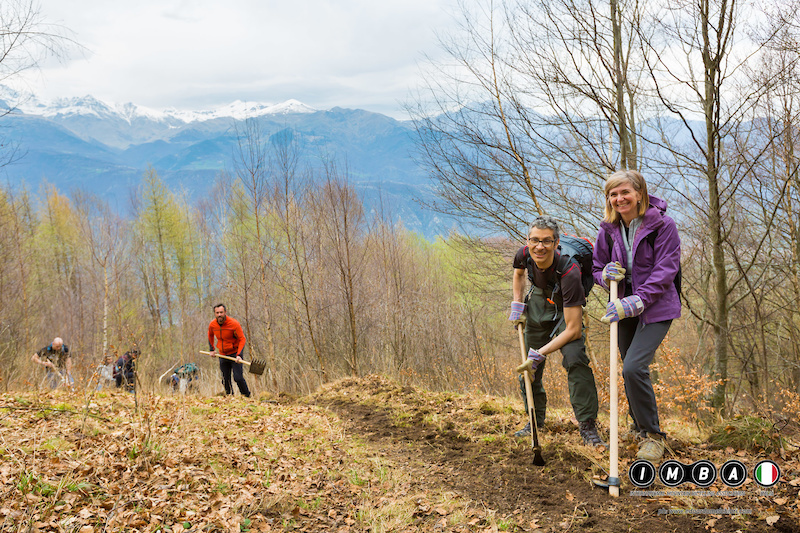 Mark said "For the first year we are delighted that there were so many groups taking part and the number of volunteers helping out on trails across Europe. It really highlights the positive contribution that mountain bikers make towards maintaining the trail network. We have also had groups tell us that by being part of a wider initiative has helped legitimise their volunteering and helped them engage effectively with landowners and managers. 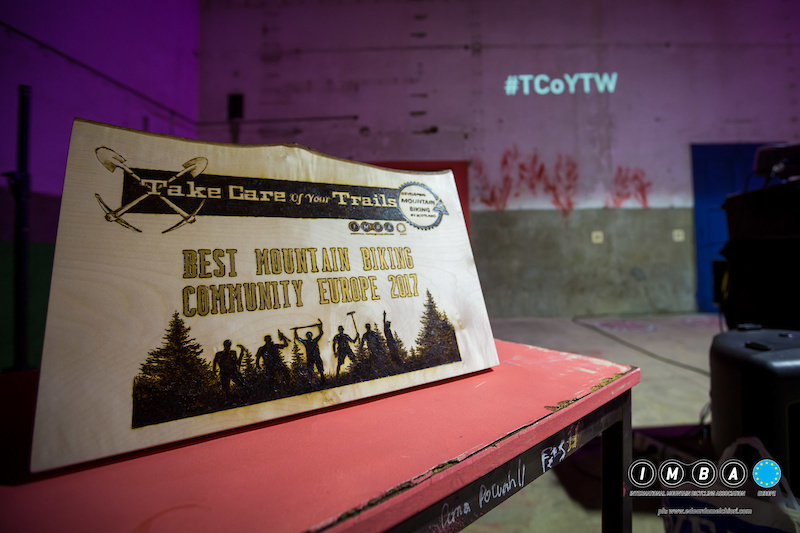 We really believe that this campaign will grow and grow over the upcoming years and make a significant impact to opening trail access and highlight the willingness of riders to give back to the sport." Slovenia went away with a stunning plaque, designed by Scottish artist LeRoc, the co-ordinator of the Slovenian groups was Peter Dakskobler. Peter was delighted with the victory "We are proud of our mountain biking and our mountain biking community in Slovenia. The weekend was a great success and we will use the title of Europe's Best MTB Community to keep expanding our access and develop the sport and tourism. We were delighted that we had over 420 volunteers taking part including the President of the Republic of Slovenia! It is already the third milestone for our community since 2014 when we first stepped together for real. In the same time it is next important award for Slovenia and it's green and sustainable tourism development in the last year." To find out the date of next year’s event and keep up with new on mountain biking development follow IMBA Europe on facebook, Instagram and twitter. Mountain biking scene in Slovenia is growing fast! I can't recommend rideslovenia.com enough, give Jon a shout and tell him what you're after, some amazing trails out there! Totally agree, went with them last year and decided to go again in July! Ridden a load of places in France, Spain, Italy, etc and Luče is definitely up there. Why is the dude on the last pic got a full face on? First time operating a shovel? So hikers can't peddle that picture as their own. And on Saturday I am going to Slovenia to find out for myself... ??? ?